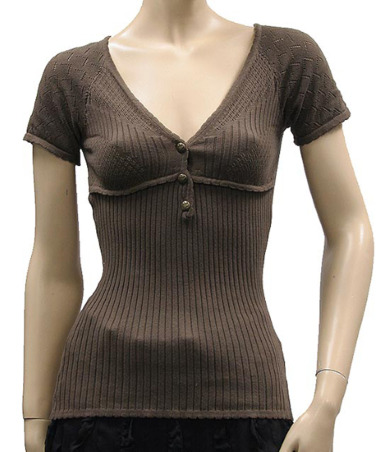 You are viewing a brand new D&G Short Sleeve Tops Size XS. This Short Sleeve Tops is elegantly designed with fluid extraordinarily smooth fabric. Please see additional pictures for original tags, color pattern (Brown) and other beautiful details. This is a great deal for a brand new Made in ItalyD&G Collection item - 100% AUTHENTIC. All items are photographed live in our studio and individually pre-measured for your best fit - Total Length: 23 inches (58.42 cm); Chest: 16 inches (40.64 cm); Shoulder to Shoulder: 16 inches (40.64 cm); Sleeve Length: 5 inches (12.70 cm).